I accepted my first position as a School Counselor this year and have been enjoying sharing this wonderful town and community. Even having only been here a short while, I can already tell that this is a special place to be a part of filled with people who care about one another. I enjoyed many hikes in Pittsburg, Dixville Notch, Colebrook, and Vermont this Summer and am looking forward to a fun and learning-filled school year! My personal philosophy is that a great School Counselor should be like water. Flexible and gentle, yet strong. Water also doesn’t care about who it cleans and nourishes; it cleanses everyone and supports all life without judgment. As a School Counselor, it is my job to support students with academics, careers, and of course, social/emotional insight, concepts, and skills that are valued highly by our society and employers. I do this by meeting individually with students, running specialized groups, and teaching in the classroom. I also enjoy greeting every student in the morning, walking and talking on the Yak Track to support grades 3-5 during recess, and sitting at different tables at lunch to get to know different groups of students. Thank you again for the warm welcome to town, I look forward to continuing to serve this community as I continue my career as a helper, getting a little better every day. Through my lessons and presence in the school, I hope to role-model Growth Mindset, Mindfulness, and Kaizen among other useful social/emotional skills and mindsets. Growth Mindset: The belief that our own talents develop through hard work, good strategies, and input from others (oh no constructive criticism!). We are all constant works in progress and this flexible approach allows people to overcome obstacles, recover when they fail, and overall believe that they can change and improve through the use of growth mindset. This is in direct opposition to people with "fixed" mindsets who believe that their talents are innate and will often try to bring others down through cheating or deception rather than bringing themselves up to the skill or developmental level that they desire. Employers love this and it leads to greater satisfaction and happiness which is why I'm so passionate about teaching and role modeling this philosophy and behavior. The belief that positive change can happen is a necessary catalyst for meaningful positive change and self-improvement. Mindfulness: Mindful.org defines mindfulness as: “Mindfulness is the basic human ability to be fully present, aware of where we are and what we’re doing, and not overly reactive or overwhelmed by what’s going on around us.” Using all of our senses to pay attention to the present non-judgmentally causes the noisy part of our brain designed to keep us safe to pick down during moments where the danger we are in is only perceived. A person could be giving an oral presentation and feel the effects of being chased by a bear in their minds and bodies! This involves paying attention to your thoughts in a non-judgmental way as well. In time, people can learn to observe their thoughts and let them pass like a person watching clouds go by, rather than being triggered by an unpleasant thought and making a bad decision because of it. Mindfulness can be practiced anywhere and at any time with benefits that increase over time through practice. Through doing this you make your brain stronger and more balanced; studies have even shown that people who practice mindfulness and meditation have longer lifespans and report being happier than those that don't. Because of this, I build mindfulness practice into almost every lesson that I teach and make sure to start with it at the beginning of the year. Kaizen: This one is actually a business philosophy that leads to greater employee satisfaction AND a better company. It boils down to essentially accepting yourself where you are at non-judgmentally (kind of like mindfulness) while also setting new goals and objectives with the intent to continuously improve, even if only a little (kind of like growth mindset). Because constructive criticism is so important for success, this philosophy teaches students to use constructive criticism to their advantage, rather than being defensive or stubborn and continuing behaviors that make their lives more difficult. With student contribution to what happens here, students are more likely to feel valued and that their voice is heard. This believe that they can affect their surroundings for the better will serve them well as adults who can also seek continuous positive change, rather than stagnation which leads to loss of skills, confidence, and happiness. Feel free to email me: jtopliffe@csd.sau7.org or call me 237-4801 x. 109 if you have any further questions or are in need of support or resources; supporting guardians also supports kids which is my job first and foremost! 1. Write a kind letter to yourself listing your strengths, accomplishments, and good qualities. 2. Brainstorm a list of ways that you are comfortable saying "no". 3. Don't participate is gossip or cruel conversations. 5. Give another person a compliment! 6. Talk to a new person and invite them to hang out with you; loneliness and isolation correlate directly with mental and overall health problems. 7. Make a list of what is going well in your life. 8. Write things you love about yourself on sticky notes and post them where you can see them every day. 9. Choose healthy food options and take care of yourself; diet and exercise have an enormous impact on mental health. 10. Dress in something that makes you feel awesome. 12. Find a self-esteem mantra that works for you and repeat it in your head. 13. Practice laughing and smiling; the body and brain are connected. Taking deep breaths to calm the body calms the mind while laughter and smiling relieves stress and makes you happier. 14. Make a self-care plan to help manage stressful situations. 15. Challenge your negative self-talk! We all have those negative thoughts about ourselves and we can make the choice to either listen to them and make it true or to dispute them with the special qualities that every person has. Many Persons Strive For High Ideals; And Everywhere IS Full Of Heroism. For In The Face Of All Aridity & Disenchantment, It Is As Perennial As The Grass. Ways to ask your kids how their day was without saying "So how was school today?" 3. Where is the coolest place at the school? 5. If I called your teacher tonight, what would they tell me about you? 6. How did you help somebody today? 7. How did somebody help you today? 8. Tell me one thing you learned today. 9. When were you happiest today? 10. When were you bored today? 11. Who would you like to play with at recess that you've never played with before? 13. What do you think you should do/learn more of at school? 14. What do you think you should do/learn less of in school? 15. Who in your class do you think you could be nicer to? 16. Where do you play the most at recess? 17. Who is the funniest person in your class? What makes them funny? 18. If you got to be the teacher tomorrow, what would you do? 19. What was your favorite part of lunch? 20. Tell me about three different times you used your pencil today at school. 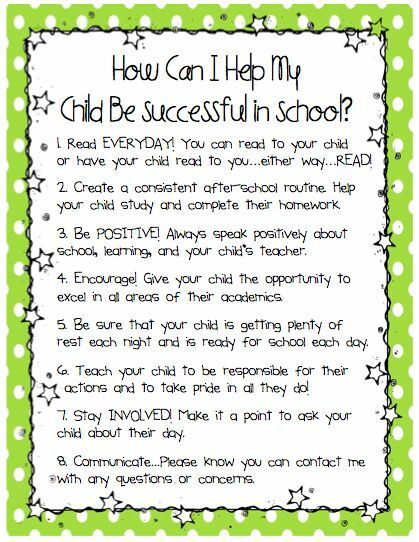 + Helping develop positive attitudes among students towards self, family, and community. + Supporting students in developing an individual plan for academic success. remove barriers that may impede student achievement. Got a question about anything school related? Even if I don't know either I will find out and get back to you.